All of our classes are ongoing and open on a drop in basis. When you are ready to try out a class, just show up. To view when class times are, visit our schedule page. For your first class, please plan to arrive 10-15 minutes early, to fill out our welcome form and alert the teacher to any injuries or limitations you might have. For your safety and the safety of your fellow students, please respect everyone’s path and attend only the level of class recommended. Group classes are for people who can move from standing to seated on the floor and back to standing without assistance. If you are working with physical limitations tell the teacher before class begins. Serious injuries and chronic limitations are best served in a private class setting. 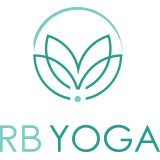 Email Jeanne@RBYoga.com with any questions. Arrive a few minutes before class. Do not enter or leave the asana room during chanting, meditation or savasana. If you arrive late, enter the room quietly and take a seat. Unroll your mat once people are up and moving. Wear comfortable, non-constricting clothes that allow you to move freely. Do not wear perfume of any kind. Turn off your cell phone before coming into the studio – honor the sacred space of the studio. There are a limited number of communal sticky mats available in the studio. Make a commitment to your practice and to hygiene and use your own mat. You are invited to honor our request to attend the class level at Rancho Bernardo Yoga that is most appropriate for you and attend advanced classes only if you have an on-going, consistent Yoga practice or by permission of the teacher. For your friends and family you invite to share this great practice we ask that you respect everyone’s path by bringing them to a level 1 or All Levels class if they are new to Yoga. We appreciate your desire to progress, but our primary concern is your safety and the safety of your fellow students. Be Kind to Yourself and to Others. Move at your own pace and don’t push. If you have an injury be sure to tell your teacher. Come to class at least once per week and practice at home. Working with a teacher provides you with the necessary alignment feedback to deepen your practice.